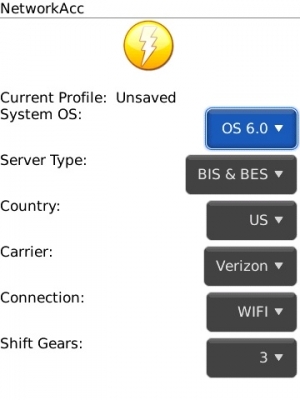 Improve your BlackBerry's network speed with NetworkAcc | BlackBerry Blast! Get the Top Rated, Best Selling, and Most Advanced Wireless Network Booster to Achieve Peak Network Performance Out of Your BlackBerry! NetworkAcc is a powerful mobile network accelerator specially designed for BlackBerry users. It accelerates all your mobile-network based activities, which include browsing, downloading, uploading, streaming, online gaming, sending and receiving email, etc. Optimization technology is applied to fine-tune several key network parameters to prevent data fragmentation and to improve data throughput. All the above techniques translate into a speedy internet/network connection: faster browsing, faster downloading, faster email, and faster online gaming.